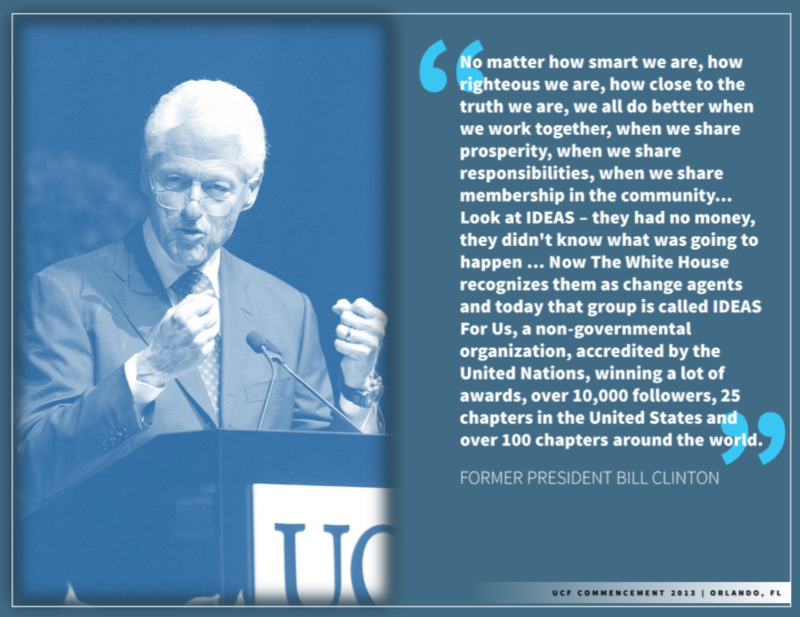 Since 2008, IDEAS For Us (IDEAS) has worked tirelessly to advance sustainability on campuses and communities around the world. Our core values of inclusion, diversity, grit, and action-based solutions has set us apart from may humanitarian and environmental organizations that only focus on advocacy. Your donations directly help us organize people, host workshops, and implement science-based projects that can be replicated at the local level. Project by project, community by community, the tireless efforts of our volunteers and staff are helping build a better future for families around the world. Your donation is 100% tax-deductible and will directly go to our projects and programs focused on helping people, healing the planet, and growing prosperous communities. We could not do what we do without the support of people like you! Thank You and please consider making a charitable donation to IDEAS today. IDEAS for Us is generously contributing their time, expertise, and materials to teaching the community about solar PV and helping light up Orlando! The forum held tonight was very inspiring. Their work is very important for our community. My beautiful daughter-- loved into this world and placed in my arms 29 years ago today--she lives her light. This donation is her hand-chosen BD wish. It's the least I can do right now! By providing solar power to a medical clinic in eastern Uganda, we will provide enough electricity fully function and avoid needless deaths. Glad I’m able to help support IDEAS and the the valuable and important actions it generates. Keep up the great IDEAS! In the quest of equality and ending harmful practices! We each can do a little part. Like ants. Like badass regenerative ants saving the world.